Water of Wonders, Eau de Merveilles has an excellent name, an unusual bottle (by Serge Mansau) and is an unusual perfume. It is meant to showcase an unusual ingredient as well – Ambergris. Ambergris is a secretion of the sperm whale, it floats around in the ocean for years. Being exposed to the elements gives it a unique and complex salty, sweet, woody aroma. These days ambergris in perfume is most often synthetic (e.g. : ambroxan, ambrox, amberlyn). Natural ambergris is very rare and therefore expensive. 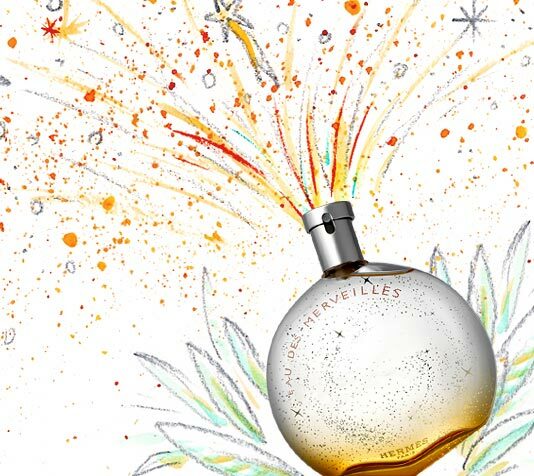 Eau de Merveilles was launched in 2004 and was created by Natalie Feisthauer and Ralf Schwieger. It includes notes of elemi, bitter orange, Italian lemon, Indonesian pepper, pink pepper, ambergris accord, oak, cedar, vetiver, balsam of Peru and tears of Siam. To me Eau de Merveilles is a curious perfume. Most days when I wear it, I forget about it only to be reminded suddenly because I catch a whiff of something wonderful. Eau de Merveilles melds with my skin so totally it becomes a different fragrance from the one you can experience on paper of fabric. Eau de Merveilles needs a person’s skin and warmth to really glow. It starts softly sparkling with citrus notes and a little pepper, but soon the darker, more woody aspects show through. 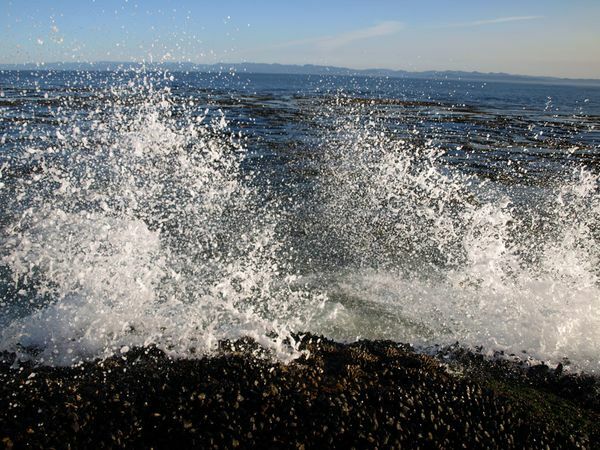 Once applied Eau de Merveilles smells salty, like sea water that dried on skin, a sensation almost, not only a smell. I think Eau de Merveilles is perfectly gender-less and it holds its own very well over time, especially for an Eau de Toilette. It is transparent and sheer, a perfect addition to the Hèrmes oeuvre, but despite that Eau de Merveilles has a presence. Eau de Merveilles speaks quietly, but insistently. It gets its message across: Here I am, Water of Wonders, when you wear me, can you hear the crashing of the waves? Can you fell the spray? Can you smell the sea? Can you? Can you? My review of the new 2012 flanker L’Ambre de Merveilles can be found here. This entry was posted in Citrus, Fragrance Reviews, Hermès, Woods and tagged Ambergris, citrus, Eau de Merveilles, Fragrance, Hermes, Natalie Feisthauer, Perfume, Ralf Schwieger, Review. Bookmark the permalink. 24 Faubourg is the only Hermes I don’t like, it is too loud for my taste, but it is a beautiful creation by Maurice Roucel, whose work I admire. Most of the rest of the Hermes line is totally different, sheer and transparent, always elegant. You summed this one up perfectly, it’s such an unusual fragrances. I think it’s weird that Hermés marketed this as a feminine when it’s so blatantly unisex. So true, there is hardly a more unisex perfume out there! You make it sound so dreamy. Unfortunately it does not work with my skin at all. I have problems with salty notes but this has to be one of the very best mainstream perfumes around – and not a floral in sight! Not a floral in sight, indeed. Unusual perfumes like this in the mainstream, are so important. Thank you, Hermes!!! I am happy to hear you can, Birgit – so do I 🙂 I always remember lovely holidays and Mediterranean when I wear it. When I lived far away from the ocean, I went through 2 bottles of EdM! Yes, 2! My DH and teenager wore it as well. But now that we live at the beach and smell the ocean all the time, I don’t wear it at all anymore, isn’t that weird? It’s gorgeous, and I also liked the Elixir (a gourmand), and Parfum versions (more amber) very much as well. Not so sure about the Claire, though, have to try it again. My favorite bottle for EdM was the blue Pegasus with stars, have you seen it? Yes, I can smell it 🙂 I remember reading many basenoters rave about this and it sounds wonderful. Makes me curious how many fragrances with ambergis I have smelled. I had a sample of Green Irish Tweed years ago that I enjoyed, and I remember it containing ambergis. Good! 🙂 Ambergris is a fascinating note. Gives every perfume such depth and dimension. The winter before last, EdM was my go-to sleep scent. Something about it’s salty, warm skin quality is very comforting. I’m flattered that I can inspire your choice of SotD. 🙂 I prefer EdM in winter too! I need to try this, and several other Hermes creations, actually. Would you say that this one definitely has aquatic undertones? I’m a bit scared of the word aquatic in relation to perfume, I must admit. I can’t bear “aquatics” because they sear my nose and don’t smell anything like lakes, rivers, or oceans. But EdM had none of those harsh chemicals, it really has a “beachy” smell in a natural sense. Don’t fear, no aquatics at all in EdM. There is the saltiness of course, but not those dreaded fresh aquatic notes. This is such a good perfume. I finished my bottle a while back (!) but may be purchasing another in the winter. Like many of the other commenters, I find it is a good substitute when sun and sea are not readily available! It is a refuge into summer, when it is cold and dreary outside. Somehow I missed this perfume. I clearly remember seeing it in a store, I know the bottle but I’m not sure I’ve ever tried it. Of course, now I will. And there is a huge chance I’ll like it since recently I started favoring several perfumes from Hermes line, which I didn’t like for years.